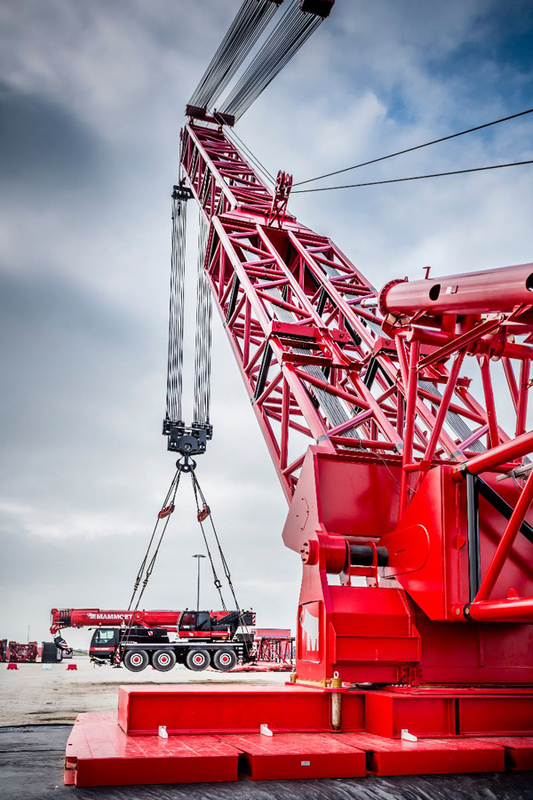 Mammoet has installed one of its heavy-lift MTC 15 cranes at its multi-purpose terminal at Westdorpe, near Terneuzen, The Netherlands. The quayside mobile terminal crane has been engineered and built by Mammoet to lift 600t at 25m. The MTC 15 is a fully-containerized crane developed to bring heavy-lift capabilities to any port capable of receiving containers in a matter of days. With a load moment capacity equal to a large 1,200t crawler crane or a large floating sheerleg, the crane enables loads up to 600t to be lifted to and from the quay from non-geared cargo vessels in water up to 12.5m deep. With 100,000sq m of storage plus hoisting and handling facilities at the Terminal Terneuzen, along with an inland truck and rail connection, the MTC 15 is set to enhance the terminal’s service-offering even further. The manufacturer said mobilising an MTC 15 reduces the dependence of ports on self-geared cargo vessels and floating cranes. “It also reduces costs, project length and environmental harm by using local resources such as water or sand for its ballast, instead of requiring operators to transport hundreds of tons of ballast from elsewhere,” the company added.